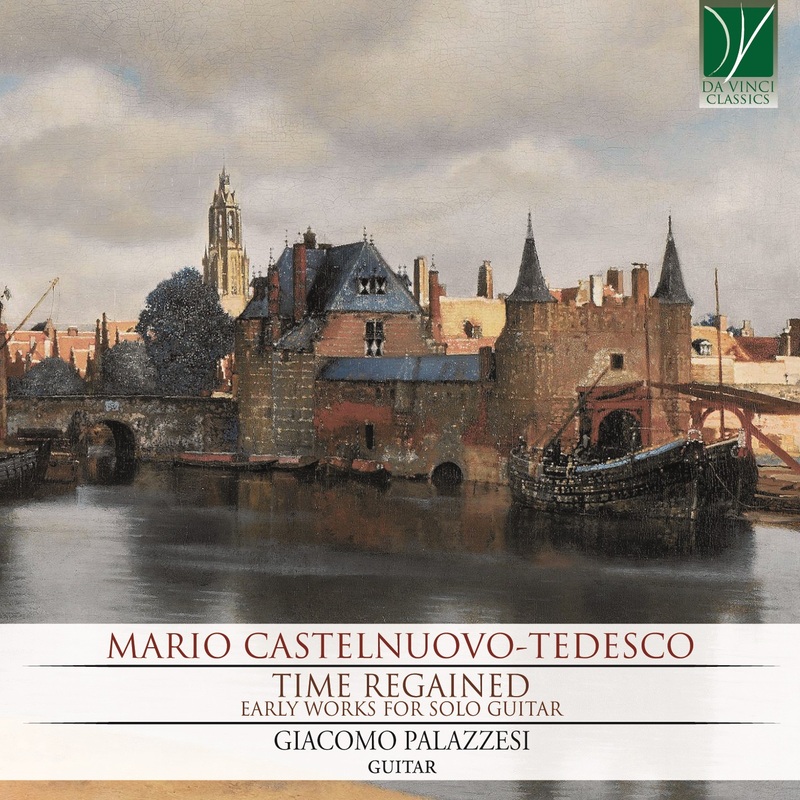 Some time ago, reading the first pages of Proust’s A la recherche du temps perdu, I recalled that Mario Castelnuovo Tedesco had devoted an entire Chapter of his autobiographical memoirs1 to Proust. I immediately looked for that Chapter and reread it, intrigued. It focuses on summer 1928, most of which was spent by the composer lying on a hammock and reading all the volumes of the Recherche, while on holiday with his family in a bungalow at Forte dei Marmi. There is much more than this, of course, since, for the composer, that experience proved to be a true stage of his musical apprentissage. In fact, he defined the Recherche as “the most beautiful of all symphonies”; he analyzed its form and the process underlying it, describing it as a real “method of composition”. This method embodied, for him, “the art of associating to another elements which are seemingly disparate and distant, of arousing unforeseen echoes, of letting concrete images emerge from the mist of a memory; finally, the art which, starting from fragmentation, and through a subtle and most skilled interplay of the themes , eventually reaches a wide and powerful organicity, architecturally solid and dense with meaning”2. In this CD I gathered the first three of his guitar works and one of the Greeting cards. Three of these pieces were written between 1932 and 1935 and one in the Fifities; in them, more than in others, I glimpse something special, and I fell in love with them by virtue of that “something special”, as I will try and explain. Let me immediately state that, for me, that “something” is the formal balance. That balance is reached; yet (and this is what distinguishes them from other works by the Florentine composer) it is reached from the premise that its conquest was hard to accomplish, if it has been accomplished at all. We are invited to participate in a continuous dialogue, or perhaps in a conflict, between a most lively imagination and an idea of form which I’d call absolute form. Precisely by virtue of this struggle, however, and of the incomplete pacification of the form, these works reach what I personally consider as the summit of the composer’s structural invention, as he was forced to seek new paths for a still unfamiliar instrument, the guitar. Above all, as imagination is pushed toward formal breakdown, and as form consequently holds fast or needs to be rebuilt (see the development in the first movement of Sonata op. 77, “Allegro con spirito”), the performer is allowed to become an “interpreter” in the broadest meaning of the word. The interpreter is therefore both the vehicle and the translator of text into sound, but also an actor performing that same text – a text requiring a stage precisely because of its incompleteness on paper. At surface level, the most evident feature is the impossibility of playing the pieces as they were written by the composer. This fact calls into question the work of Andrés Segovia who edited, and previously interpreted, these pieces according to the categories of his time and aesthetics. He was, indeed, first of all an interpreter of that context, and only secondly an “interpreter” of the composers’ views and works. Therefore, by working on this all, a dialogue emerges between the musician of today – myself – and the musician of yesterday, who first distilled his interpretation. With respect to Segovia’s edition, I thought that displacing the inner voices of several chords, transposing certain passages by an octave, and even realizing minor thematic “adjustments” could be considered as excusable liberties, especially since they are functional to the Segovian idea of guitar. In fact, these “venial sins” are not even sins, in my opinion, bu rather virtues. They are virtues since they are in the service of music itself; through these minor treasons, music is recited and proclaimed instead of fragmentarily articulated, or, worse still, coldly uttered. When one says “guitar aesthetics”, the eternal confrontation between guitar and orchestra, or guitar and piano, is immediately evoked. In this field, Segovia’s (and therefore Castelnuovo Tedesco’s) vision of music is infallible: the composer orchestrates his guitar works with an impossible – and therefore ideal – orchestra in mind. Here is where Proust comes to the fore as a spark illuminating Castelnuovo Tedesco. This spark is linked to the enduring fascination of Andrés Segovia, who invited his pupils to think of the guitar not as a modest imitator of orchestral sounds, but rather as the evocation of those same sounds. Indeed, the guitar which llora por cosas / lejanas3 is an extremely powerful topos of the Iberian culture in the early twentieth century. Therefore, when I speak of orchestration, I treat the themes as characters: here lies the nucleus of what Castelnuovo Tedesco learnt from Proust. The “subtle and most skilled interplay of the themes” thus becomes the composer’s distinctive feature exactly as it was, in Castelnuovo Tedesco’s idea, the idiosynctiatic trait of Proust’s Recherche. Through the alleys trodden by the guitar, the composer seems to set himself free from his usual ease of writing, from his expertise. To lose in order to gain: Castelnuovo walks a path of absolute artistic sincerity, as he seems forced to do by the nakedness of the guitar. As a performer, and from a purely musical viewpoint, I wanted to explore what seemed “new” among all the above, and within the presently available sources. I looked especially for a wealth of agogic indications, and then for accents, colours, dynamics, which became a mine of unexplored possibilties. I will not offer a musicological or analytical discussion of the pieces. The reader interested in studying Castelnuovo Tedesco’s music under these viewpoints is referred to composer Angelo Gilardino’s writings about Castelnuovo Tedesco’s works. It would be hard to add something even remotely meaningful to those pages. Notwithstanding this, I would like to give a few details about how I used those same sources. I have already mentioned some of my choices regarding the text, although I did so through the rather misty terms of “sins” and “virtues”. In fact, such consideraions regard mostly the Sonata op. 77 and the Variazioni attraverso i secoli op. 71. In both of these works (even though this appears most evidently in the Sonata, for the complexity of its writing and the technical-musical focus it requires) I decided to follow a third way of my own. Thus, I grounded my work on the primary sources but I also looked with the utmost admiration and consideration to Segovia’s choices. Sometimes I adopted them as they were, but more frequently they were mediated by my need to get closer to the text in order to faithfully reproduce the wealth of agogic indications mentioned earlier. As concerns the Capriccio diabolico (Omaggio a Paganini) op. 85a, instead, I faithfully followed the edition by Angelo Gilardino and Luigi Biscaldi published by Ricordi. In my capacity as the performing artist, I want to point out that I evidently distanced myself from the nineteenth-century, late-Romantic myth of a demonic Paganini; that myth had in all likelihood inspired Segovia’s request and had later imbued his performance. Contrary to Segovia’s idea, I thought that the dáimōn of these pages nestled in the expression, in the care for the colours, and above all in the many singing passages of the piece; indeed, they say that “the devil bathes in melancholy”. To cite but three actual examples: following the above-mentioned edition, I restored some chordal passages which Segovia had modified into simple melodies made of individual notes. I also reinstated what had been mowed down (the transition of twenty-four bars in the epilogue), and I deleted what had been artificially added, i.e. the final quote of the theme of La Campanella. Tonadilla (sur le nom de Andrés Segovia) is no. 5 of the Greeting Cards op. 170, and it is a heartfelt homage by the composer to the guitarist. I decided to include it because it demonstrates continuity, or even contemporaneity, as I strongly feel it, with the pieces preceding it in this CD – even though they were written some twenty years earlier. It is a portrait of Andrés Segovia as a great musician, a dear friend, but it is also, I suppose, a place of memory. Seul il avait le pouvoir de me faire retrouver les jours anciens, le Temps Perdu, devant quoi les efforts de ma Mèmoire et de mon intelligence échouaient toujours. 1 Mario Castelnuovo Tedesco, Una vita di musica (un libro di ricordi), ed. James Wetsby (Fiesole: Cadmo, 2005). 3 “Cries for things / faraway”: Federico Garcia Lorca, La guitarra, “Poema del Cante Jondo”.